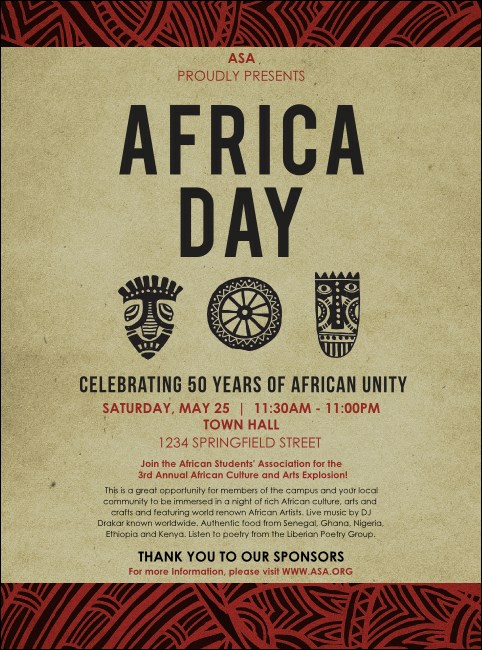 Make sure all your promotional materials match your event with the African Theme Flyer. Celebrate the land of the Sahara in shades of brown, red and linen, with bold shapes and stylish patterns. Give everyone all the information they need with 17 open lines for the finer points of your special occasion.